The only thing standing between a talented student and a degree may be your support. 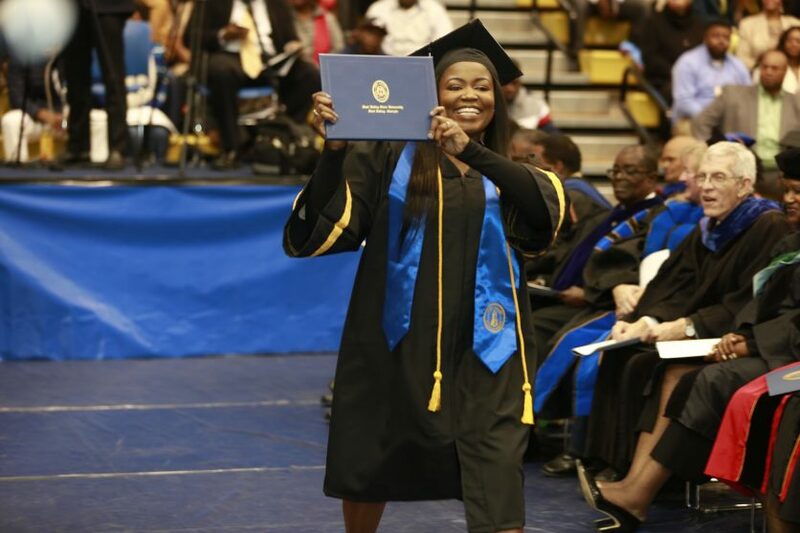 Enrolling as a student at Fort Valley State University is a step into hope for many young people who believe in that power of education and the Wildcat spirit can lift them above their circumstances into a life of enlightenment, meaning and purpose. These students have faith in the life-changing educational experience they will receive at FVSU, but many of them cannot afford its cost without your support. Giving to Fort Valley State University is an investment in tomorrow’s leaders. Your support funds scholarships and other expenses critical to providing a world-class education to FVSU’s deserving and talented students. Through the generosity of individuals and organizations, we have been able to provide academic and c0-curricular experiences for our students that allow them to lead successful and productive lives and give back to the world as business leaders, researchers, scholars, doctors, engineers, elected officials, civic pioneers, innovators, thought-leaders, and intellectuals. We’re grateful to you for helping us build a solid future for generations of FVSU students to come. Please contact the FVSU Foundation at (478) 825-6474 for additional questions. Thousands of companies and corporate foundations in the United States currently match their employees’ gifts to nonprofit organizations such as universities. Under a corporate matching gift program, gifts made by a company’s eligible employee or employee’s spouse are matched with company or corporate foundation funds. Please join us on Tuesday, April 23, 2019 for the athletics awards. To purchase tickets to the athletics banquet, under “Fund,” select “Athletics Banquet,” or call the FVSU Foundation, Inc. at 478-825-6474. Learn more about the banquet HERE.